Going on four years ago, I had the pleasure of interviewing Brad William Cox, vocalist for the bands We Love the Underground and Skitzo Calypso, and now author of a novel entitled “Children of The Program” (review). 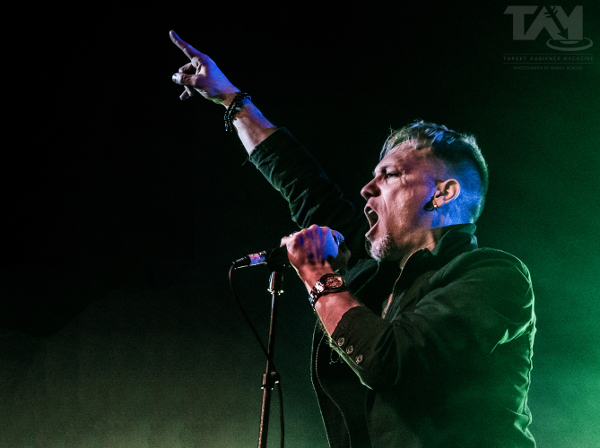 Additionally, he’s released an album with the same name, and has just completed work on the sequel to that book, called “Children of The Program: Edge of The Fifth Sun,” which is available now. Brad, it’s a joy to speak to you again. Let’s jump right into the first question. The “blank page” is a constant struggle for artists of all kinds, but which was more daunting: the blank page of the first novel, or of its sequel? For me, the first novel was much more difficult, for a variety of reasons. Being that “Children Of The Program” was intended to be a trilogy, getting started was incredibly daunting. It’s such a complex story. In hindsight, the first book is almost the appendix in the series, as it lays out all the ground work and ‘rules’ of The Program. It’s littered with characters and details. The new novel is much more linear. There’s not a ton of bouncing around, like before. I also tried to make it possible to read the second one without having to read the first, which was a challenge. So, the ‘blank page’ of the 2nd novel was just like continuing the story – the only real challenge was making it accessible as a first read. We all know about movie soundtracks, but you and your bandmates in We Love the Underground wrote a novel soundtrack. Was this always your intention, and did it meet your expectations? Yes. It exceeded my expectations. I tried doing this years ago, but it didn’t pan out, mainly because my writing wasn’t up to par. The book was called, “Fire in the Hands of an Angel.” First off, Patrick Sise, Eric McCullough, Joe Ruggiero and Gary Holmes are amazing people and musicians – I couldn’t ask for a better group of guys to work with. We’re all tight, like brothers. No one bats an eye at tackling bigger projects. I started recording it, as a solo project, with “Leaving Tonight,” but as the story evolved and I began discussing the concept, everyone was fully on-board. Eric and I tackled “Back from a Suicide” and then dug into “Paint the Desert with My Heart”, a nod to the Painted Desert. Much like the novels, the challenge was making the songs accessible, apart from the novel. If you read the novel, great, it’s that much more fun. But if you didn’t, that’s OK too! The last song of the Children of The Underground album is a 12-minute monster entitled “The Creationist,” which makes an appearance on the recent _Intrinity EP along with two other songs: the newly written track, “The Survivalist,” as well as one from Mouthful of Graffiti, “The Isolationist.” Is this a musical prelude to the new novel? And would you be so kind as to elaborate on the EP’s title? _Intrinity can act independently from “Children Of The Program” or in tandem. It follows the life of a struggling artist. “Children of the Program” does the same, through Neco, but the story around him is obviously much broader and science fiction oriented. With _Intrinity, there’s the innocence of wanting to create [The Creationist] and the pull from above that forces you forward, followed by the desire to keep your dreams alive [The Survivalist], followed by an inevitable fall [The Isolationist] – in short. “The Creationist” was included on “Children of the Program” because it’s a chapter in the new novel and because the bird of life [in the book] is referred to as The Creationist or ISIS [not that ISIS]. Its name is derived from the Egyptian god of magic and fertility. But, as a trilogy of songs, you don’t necessarily need to pair ‘em with the novel to enjoy it. Creation is a large theme in the first novel. In some ways, it re-imagines some of the Christian stories. I don’t want to spoil the first novel for those who have yet to explore it, but I do want to touch on aspects of the story. Firstly, the twelve characters of the book originate from locations around the globe, though the furthest East it seems to go is Israel. Within the book, this is based on autonomy, but how did you decide on the origins of these individuals? Developing one personality completely is quite a feat, but you took on twelve to varying degrees. Who did you have the most fun creating, and who was most challenging? Dez was hands down my favorite. I don’t want to give too much away, but he’s such a complex character and clever. I had nightmares about him as I was creating him and other readers have suggested that he’s popped up in their dreams. Some have even said that they couldn’t continue reading the book because of him – so, I think I hit the nail on the head with that character. My character [Neco Baal] was challenging because I was forced to be honest with myself and share a lot of aspects of my personal life. There are many autobiographical chapters. They say write what you know, so that’s what got my engines turning. But, the most challenging character was likely Grayson, because I didn’t realize how instrumental he was going to be in the book until the story began unfolding – that’s when I really got a grasp of his significance. He’s so ordinary, yet important. It’s like trying to make vanilla ice cream into rainbow sorbet. And, I simply can’t leave out the bird, Petey. Scratch what I said, he might be my favorite. There’s a good deal of antagonism in the first book, and I’ll admit it came from a direction I wasn’t expecting. Will the second installment in this series establish a similar cadence of opposition? The second novel has quite a bit of antagonism, yes – oh, and mysticism. 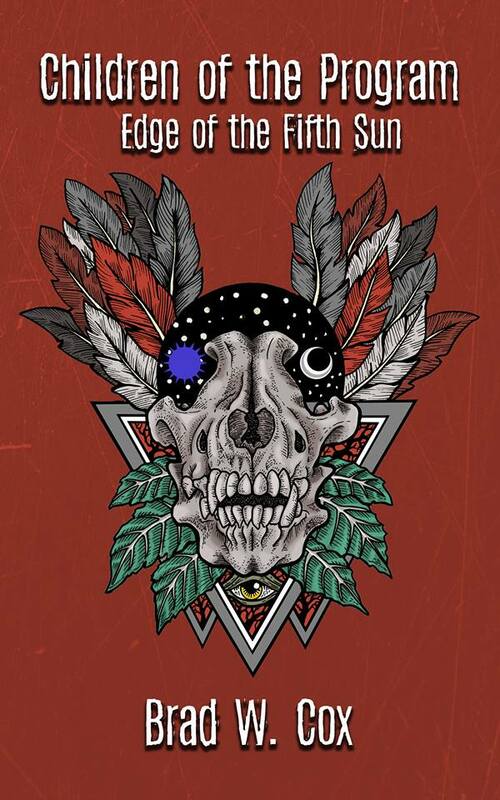 As you’ve probably noticed in a lot of the Skitzo Calypso artwork, my back tattoo or some of my general points of conversation [online and in blogs], I’m very into Aztec, Mayan and Hopi mythology. It’s fascinates me. To be as vague as possible, I tied some of those mythologies into this book. 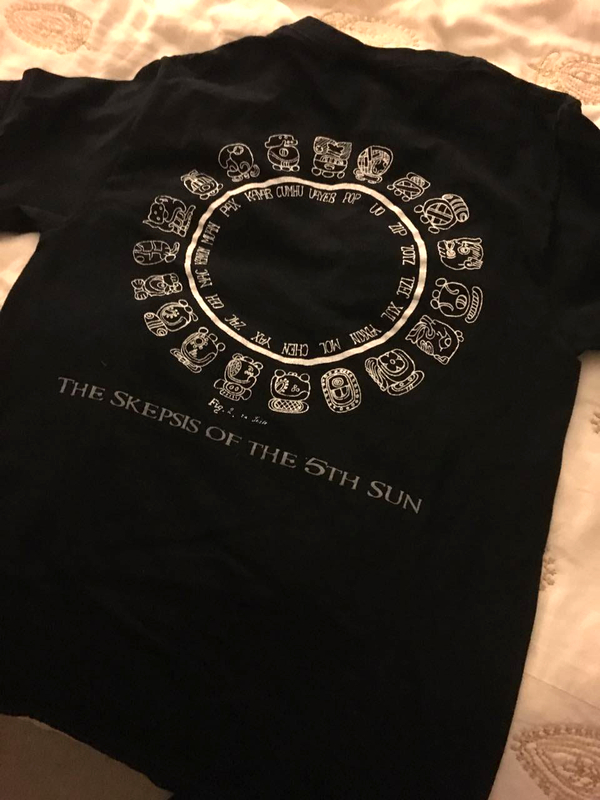 Actually, Skitzo Calypso’s Ghosts was originally going to be a full-length album called The Skepsis of the 5th Sun. It was written on the bottom back of the Burning Down an Empire T-shirts, featuring The Ecstasy of Saint Teresa [also referenced in book 1] on the front. But, when the band lost a key member, we ended up going in a different direction and just doing the EP. Through these books, I’ve tried t’ tie all the album themes in, one way or another. That said, I don’t think people will have guessed where this story is going to take ‘em, but the artwork from the first book foreshadows it. The actual Children Of The Program have a large role in book 2, which I couldn’t get into in book 1 without starting the next installment; it just would have been too much. With regards to the Hallway of Sorrows, in which our protagonists find themselves at the beginning of the book, does reincarnation always have to come in groups of twelve, or can it occur piecemeal to reach The Program’s objectives? This is an excellent and important question, due to the complexity of book 1. Yes, the reincarnation must come in groups of 12. So, if you know how the first book ends, you’ll be able to infer where The Program currently stands. Those selected and die without fulfilling The Program are recycled. Those who complete their mission enter The Beyond [a spiritual nirvana of sorts]. When they’ve all died, or satisfied their calling, the spots of those who entered The Beyond are backfilled through way of the Lottery of Souls and The Program resets. The first book made some headway towards The Program’s original goal, but there’s still much work to be done. How much of would you say the new book focuses on old faces versus following developments of the Crystalline? There were so many characters, even considering the outcomes of some of those in book 1, that you’ll have plenty of familiar faces to follow. But, there is a heavy emphasis on the Crystalline. You’ll be happy to know that Petey might make a reappearance. Is it possible to cheat The Program, either in life or in death? Anything is possible – but it’s best I leave it at that. “You either steal their hearts or you capture their imagination.” So, how has the response to your first writing-effort been? Amazing. People have been incredibly supportive. As you know, the first run of books needed a little clean-up, but no one really seemed to mind or noticed. When you’ve spent upwards of a year working on something, everything is magnified. But, when people are just chillin’ and readin’, I think they tend to overlook a lot of things. The feedback and excitement for a 2nd book has made writing it even more worthwhile. Suffice it to say, I can’t wait to share “Edge of the Fifth Sun” with planet Earth!